WEST Maple Ridge flat useable 2 acres on CITY WATER with loads of future potential. 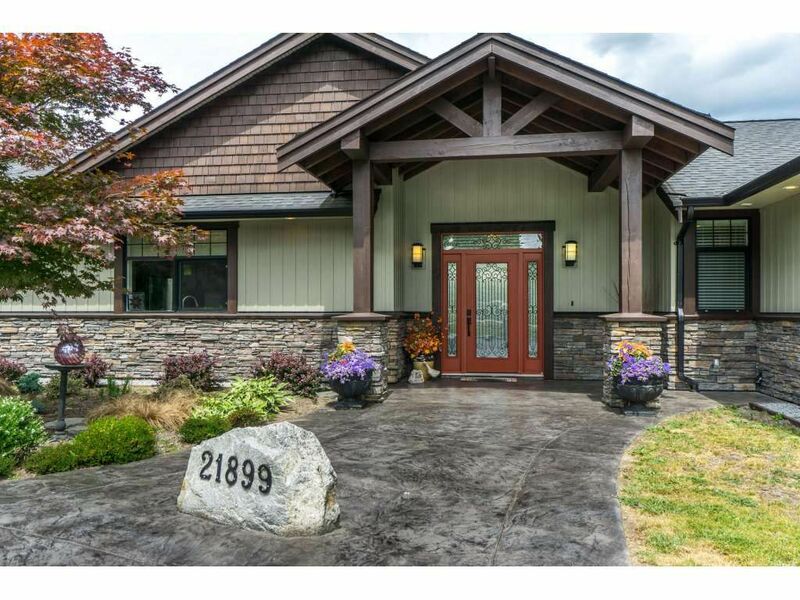 This is a dream property with an awesome huge sprawling custom built rancher. Open concept great room, kitchen, dining room on one side to the great room is 3 bedrooms, den and laundry with 2 oversized 5 piece bathrooms. The other side of the great room has a huge rec room with west bar and 3 piece bathroom. Large garage with attic storage. The massive stamped concrete patio has access from the rec room/ bar, kitchen and master bedroom. Granit counters, engineered hardwood and travertine tile, hot water radiant heat, custom window coverings with oversized windows in the great room take in the view of the Golden Ears Mountains. A Must See!